It takes ones breath away. If what they did in the House ever becomes the law of the land, they will have much to reckon with. The crowd outside the House had it right with its “Shame, shame shame!” Democrats inside singing should also be shamed. It was not a party victory or defeat. It was a victory for the rich and infamous who have thoughts only for themselves and their wallets. Amazing that some can still call themselves “Christians”. Let’s face it, anything Barack Obama did as President is anathema to those now in power because he is black. The hatred underpinning the latest Congressional and Presidential actions is barefaced and appalling. It’s even likely to bring on a backlash that will change the make up of the House of Representatives if the Democrats don’t throw away their advantage in their glee at opponent’s seemingly fatal mistakes. It’s much too soon to crow. There is still real danger that this white-men-supremacist measure could become law. 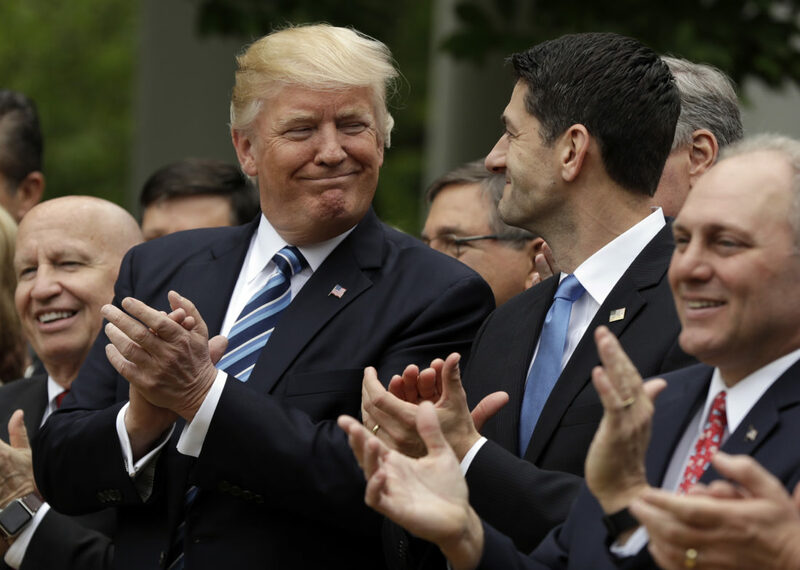 If anyone out there still reads, check this article in today’s Washington Post, and then take a good long look at all of those smug, self-satisfied faces in the Rose Garden as they celebrate taking away health care from those in society who need it most. This is America? Isn’t it time for the USA to join the rest of the civilized world and provide basic government healthcare for everyone? Those guys turn my stomach. How many people are aware that the Trump administration has been doing its best to pick apart the ACA even before the “replacement” by cutting funds for pass through payments to insurance companies and doctoring the healthcare.gov website just so they could say it was failing? All that for white supremacy? If Peter Suderman is correct that this is not a health care bill at all, but a bald effort to cut taxes for the wealthy, then the House Republicans may well have snookered the “Deal Maker” himself (as well as the rest of us) since Trump apparently has little knowledge of what is actually in the bill. In a way, Trump’s inability to understand the bill means that he cannot really be said to support it, or at least that his support is far from stable. Privately, Trump has questioned whether or not the bill is worthwhile. During the initial push to pass the bill, Trump sometimes expressed his anxiety about the bill’s merits, according to The Washington Post. He did not possess sufficient understanding of its particular to judge its quality for himself, so he repeatedly asked his aides, “Is this really a good bill?” If you have to ask, the answer is probably no. Posted on May 7, 2017, in Health Care, Politics, Society and tagged economics, healthcare, taxes, Trump, trumpcare. Bookmark the permalink. Leave a comment.